I had the opportunity to speak with all 22 Penn Foster graduates before and after the ceremony and I was profoundly impressed by their dedication, resilience and intelligence. They described the transformation they underwent during their time at Tarheel ChalleNGe Academy. And I listened to their stories about how Penn Foster’s self-paced learning platform helped them develop competencies and confidence in their academics. Tarheel ChalleNGe Academy is quasi-military style program sponsored by the North Carolina National Guard for at-risk high school dropouts. The program empowers opportunity youth from across North Carolina who are not succeeding in a traditional high school environment with the education, life skills and self-discipline necessary to lead more meaningful and productive lives. 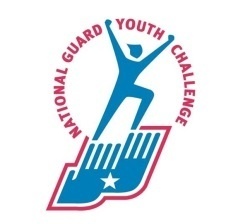 The National Guard Tarheel ChalleNGe is recognized as one of the nation’s most effective and cost-efficient programs for targeting youth at the greatest risk for substance abuse, teen pregnancy, delinquency, and criminal activity. The organization has been operating for 24 years, has locations in New London and Salemburg, North Carolina, and has graduated more than 5,000 young men and women since its inception in 1994. All students at the Academy are required to earn a high school equivalency credential prior to completing the program. However, this graduating class was the first at the New London location with the opportunity to earn a high school diploma through Penn Foster. The partnership proved to be a great success, with 22 of the 24 students selected to enroll in Penn Foster successfully earning their high school diploma. While this is the first Penn Foster High School class at New London, it is the second class of Tarheel ChalleNGe students to graduate from Penn Foster. The first group graduated from Tarheel ChalleNGe – Salemburg in December 2017 and there’s another class currently working towards their diploma. The graduation was an incredible experience. It’s hard to describe the gravity of the moment for these students, their loved ones, and the staff at the Academy. You need to appreciate the circumstances that brought these young people to enroll. They were troubled, failing at school and lacking life and career prospects. Choosing to attend was akin to getting off a train to nowhere and boarding one to a future of personal growth and career opportunity. It’s a transformative experience for students, family and educators alike. It was my privilege to witness how targeted engagement of opportunity youth and education can transform lives and communities.